After the wonderful response I received when I started the Beauty Queen on a Budget [BQOAB] series here, I knew I had to take it forward. 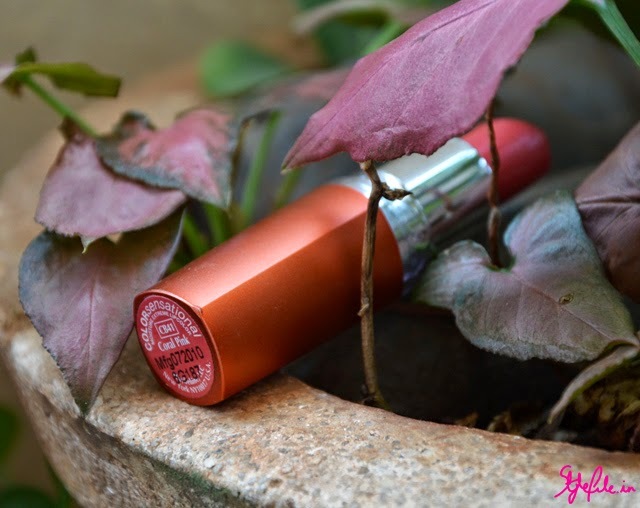 It is quite an interesting process researching and reviewing the products that I finalize for my top picks and my favourite part is sharing that with you lovelies because, hey, don't we all love a good lipstick or mascara that does an exceptional job and fits our budget too! 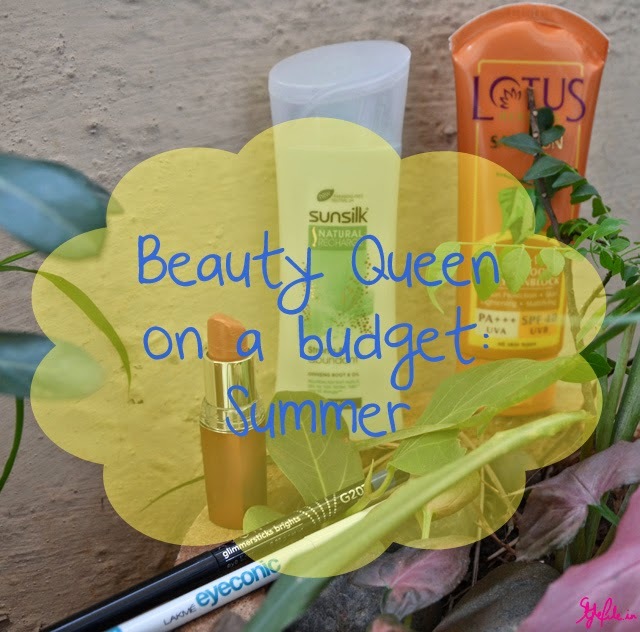 This time, I shall be sharing my favorite beauty products that fit the bill for the summer season and are all under Rs.400 so your shopping can be guilt free! 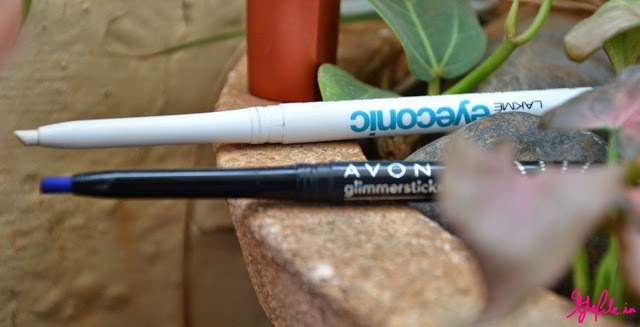 Lakme's Eyeconic range is a force to be reckoned so when the wildly popular range launched a first of its kind white eyeliner in the Indian beauty market, the hype surrounding it was massive. The white liner, with its fair amount of shimmer and creamy texture, works well as a highlighter on areas on the face that catch the light. When used with a light hand on the lower waterline, can brighten the eyes greatly. 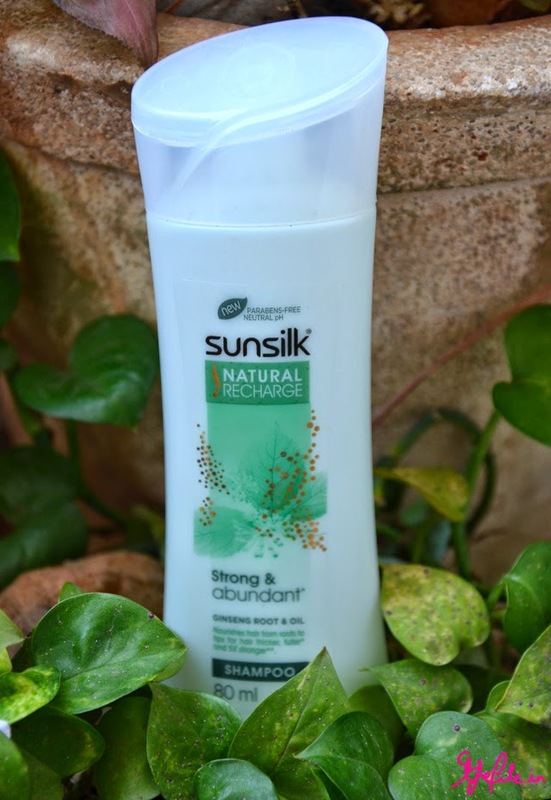 However, its creamy texture can lead to crumbling on the lashes and breakage but since it is the first in its category; this one gets a thumbs up from me. And how can any summer list be complete with a good sunscreen recommendation? 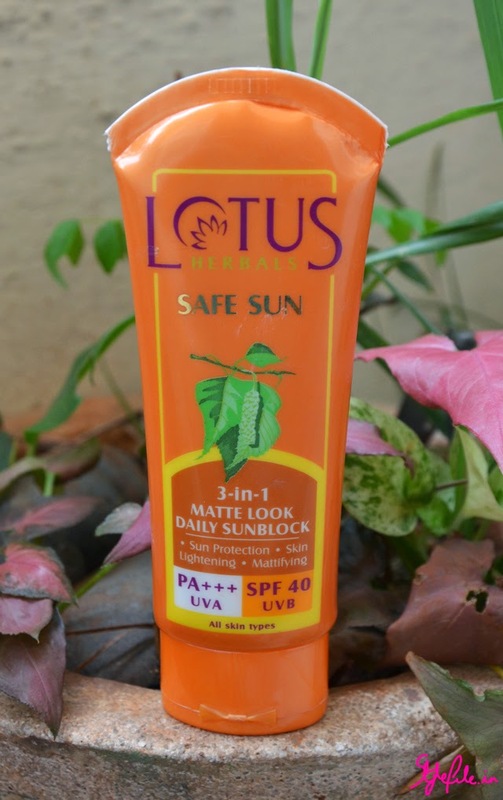 With UVA and UVB protection, a tinted formula, a matte finish and suitability to all skin types, what doesn't this sunscreen do! With a thumbs up from me, no wonder it was also featured in the previous BQOAB edition too! So I do hoped you like this edition of BQOAB because I've had a blast putting it together! Since it is still new and needs its tweaks, I would love to know what you think and if you've got any recommendations or products for the next in the series! Summer is upon us, dearies and it brings with it kind greetings of tender coconut ice-cream and sunshine. 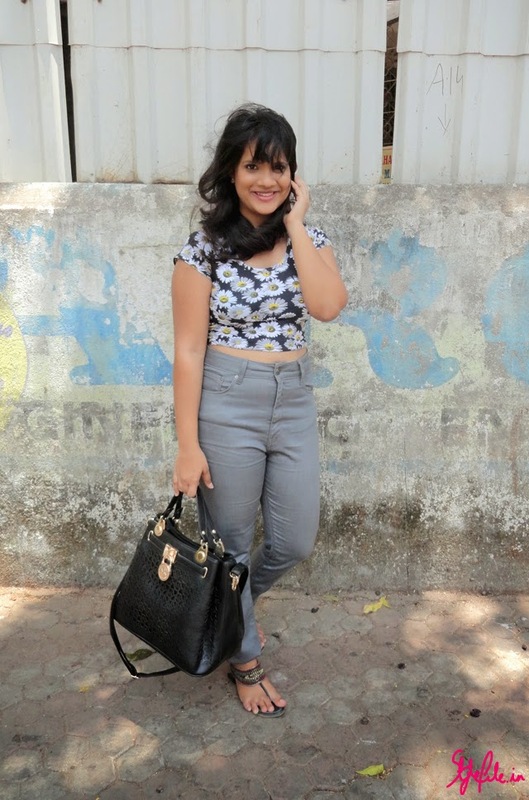 *I think I've conveniently missed out on the beads of sweat and frizzy hair days* Well the part and parcel of the season that we call summer does bring around some goodness as well in the form of fashion which helps make the heat not all that bad. 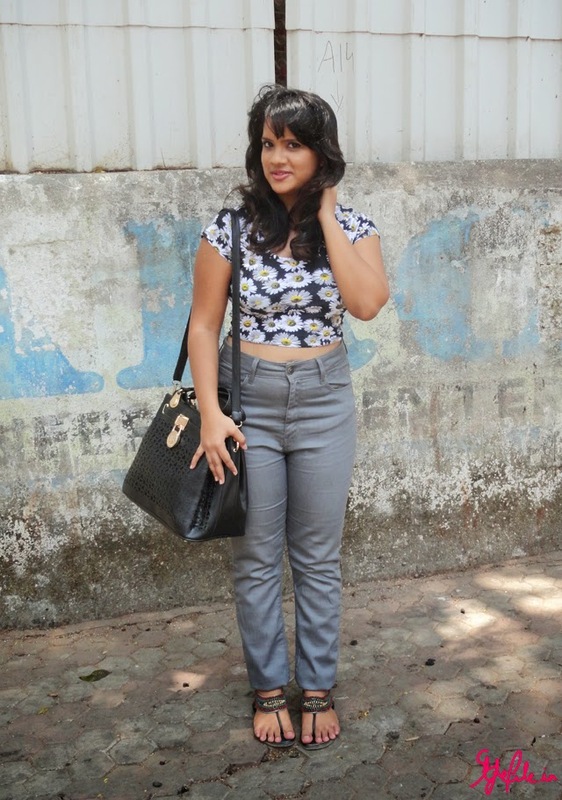 The crop top, as you've seen me don previously, continues to be riding a wave of popularity. 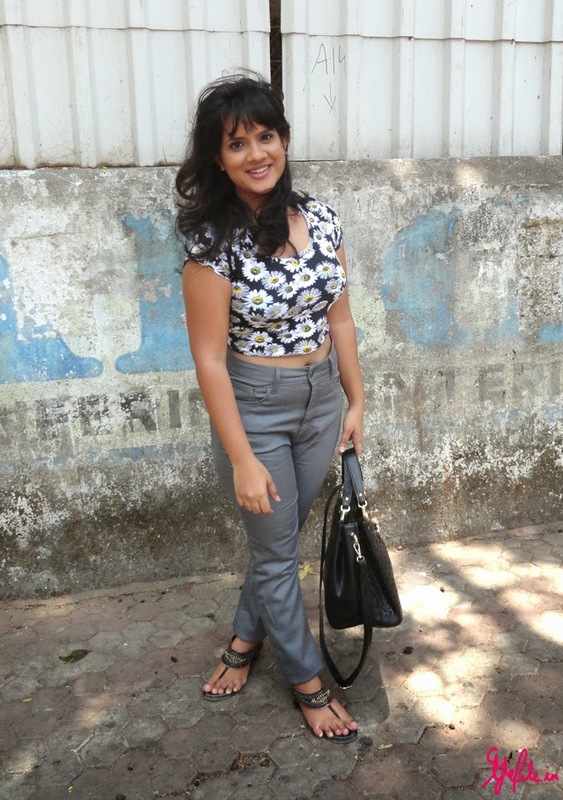 The next one that is a close second and catching up on its trail is the daisy print. And what do you get when you throw both of those together? This look. 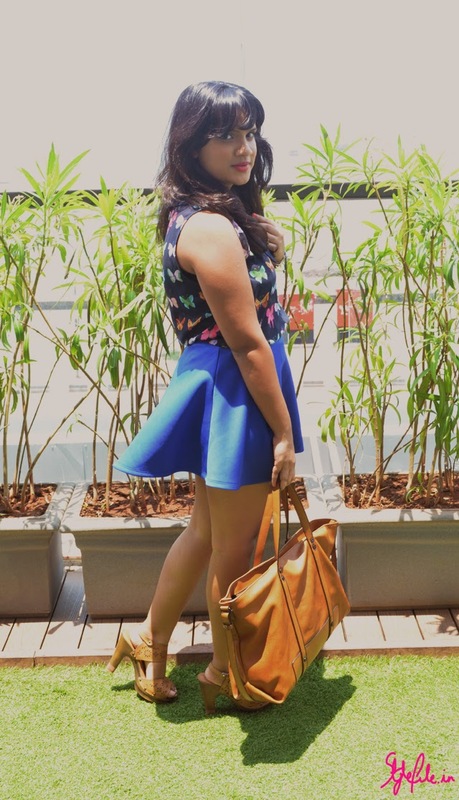 I wore this look for the recent Dunkin Donuts launch in Mumbai where I wanted to keep comfort key *since all my attention was obviously on the donuts* I discovered that very morning how both pieces complimented each other so perfectly and threw them together with my favorite tote and gorgeous sandals which I nicked from mum. 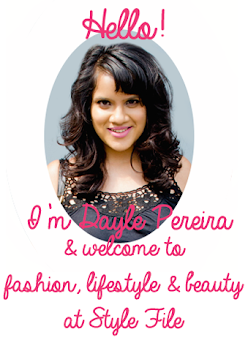 So try a few trends while the summer is still here and make sure you stay fresh and bright while you do it! 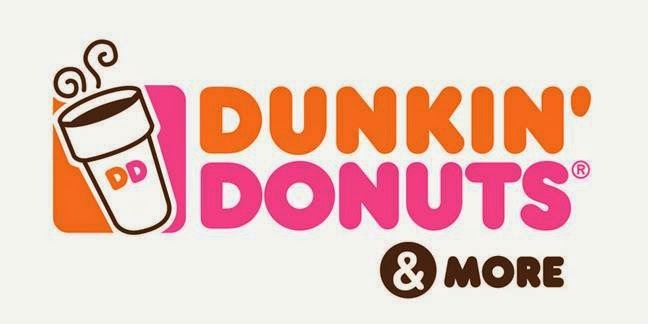 Lifestyle | Mumbai goes Dunkin for Donuts! 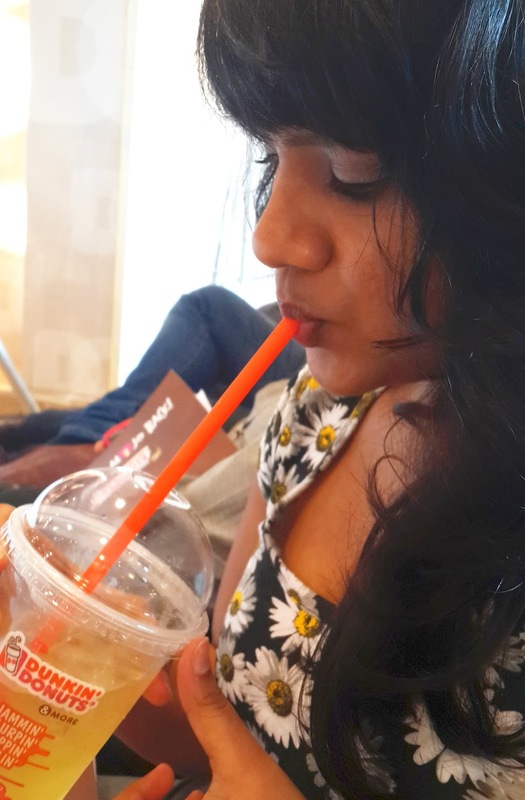 So dolls, if you haven't already heard the grand news; Dunkin' Donuts finally launched in Mumbai and to further heighten my excitement, I had the wonderful opportunity to attend an experiential workshop a day prior to their launch. I arrived on the scene to spot the new store at Linking Road decked in a myriad of colours and abstract decor. The space is quite large and sunshine lights it up beautifully. 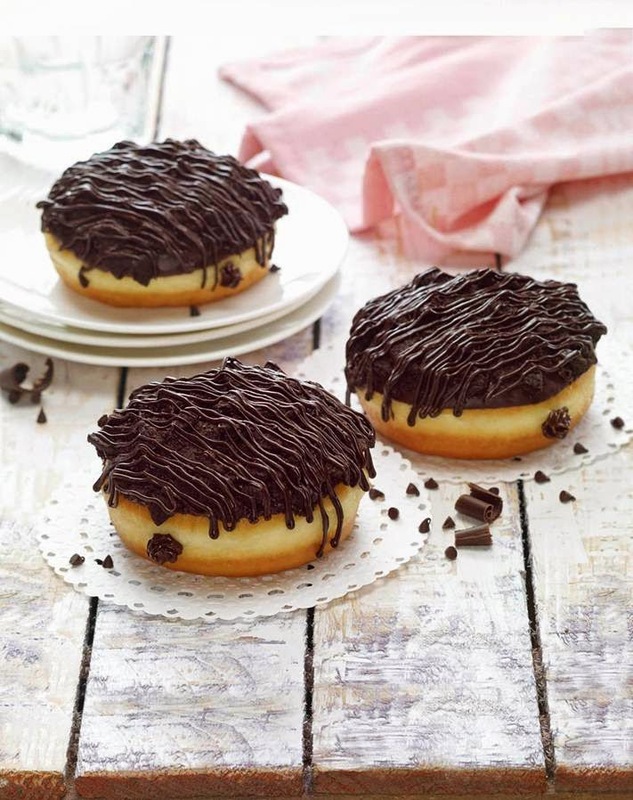 The workshop focused on the new Dunkin' Donuts menu offered to Mumbai, the ingredients and spices used and of course, a taste of some of the hottest items on the menu. 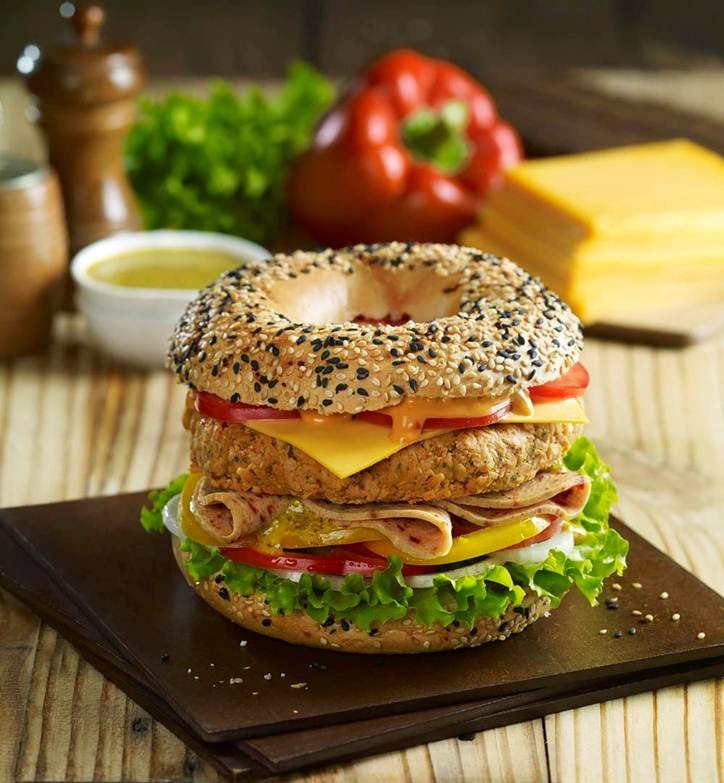 In Mumbai, they are launched as Dunkin' Donuts and more which means that you not only get their world famous donuts but a variety of burgers, beverages and wraps as well! 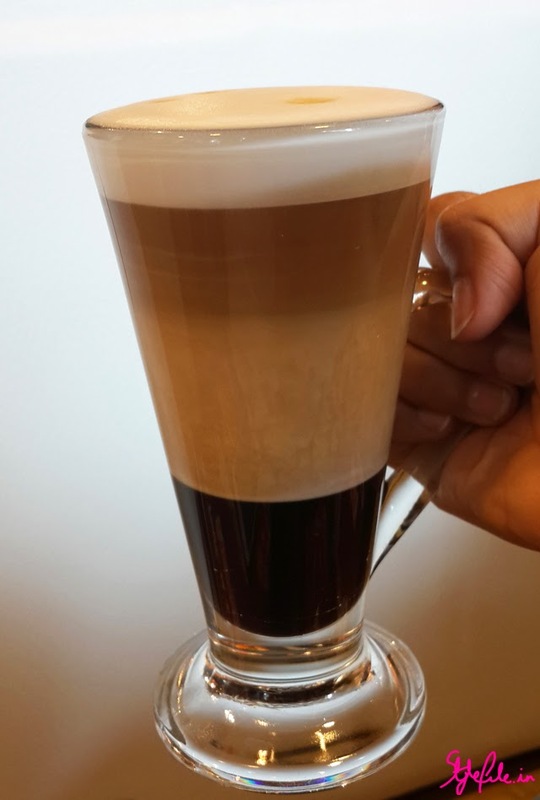 I first tasted the Stirr'acchino which was a hot coffee that comes served in distinctive layers that have to be stirred thoroughly to get the full depth of the coffee. It was creamy, full and I didn't even reach for the sugar! The Tough Guy burger was my favorite with a spicy chorizo and chicken patty in a bagel bun. Even something as simple as a wedge of their freshly baked bagels tasted so warm and complementary with a smidgen of cream cheese! 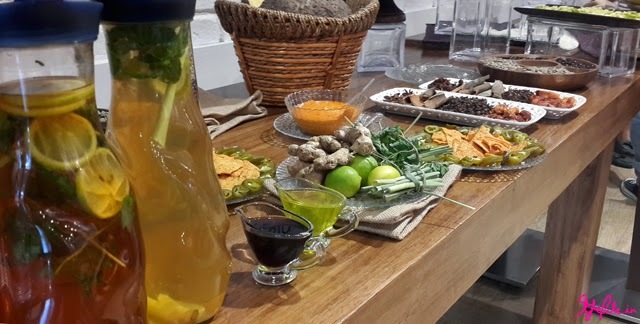 The Iced Green Tea was a perfect cooler for the hot summer day that it was and was so refreshing! The Wicked Wrap was a hearty choice with it's delectable mango salsa and a pleasant crunch from the nachos in it as well. 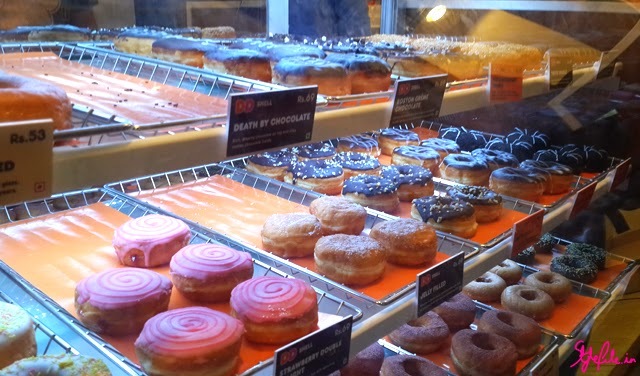 The large variety of donuts; from chocolate toppings to berry fills and custard layers, had me spoilt for choice. I adored the Dunkin' Classic Glazed Donut which was sweet and just about filled me up. Their Very Very Blueberry too is packed to the brim with the berry filling. The Alive By Chocolate, one of Dunkin' Donuts speacialities, is crunchy and chocolatey till the very last bite. If you haven't already dropped by their all new stores at Khar or Phoenix Marketcity in Kurla, I would highly recommend that you do as go wild with their maddening variety of donuts and grab a delicious burger as well! Today dolls, on the wonderful occasion of Mother's Day, I've got a lovely giveaway planned out for my Style Filers - something that is simple as ever and fun to partake in as well. So why wait a moment longer, let's get started! I've broken this giveaway into 2 parts and today, we're starting out on part 1; the winner of which will win a mini beauty hamper of NYX products. 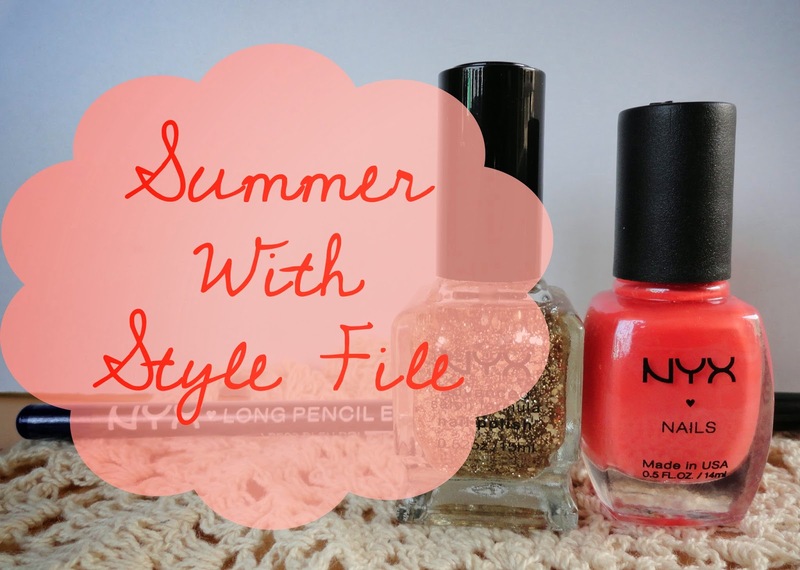 Once you have followed both of the above pages, all you have to do is comment on THIS image on my Instagram page and tell me your favorite summer shade and why and include the hash-tag #SummerWithStyleFile in your comment. That's it! Once you're are done with these amazingly simple steps, you can sit back and wait for the results! 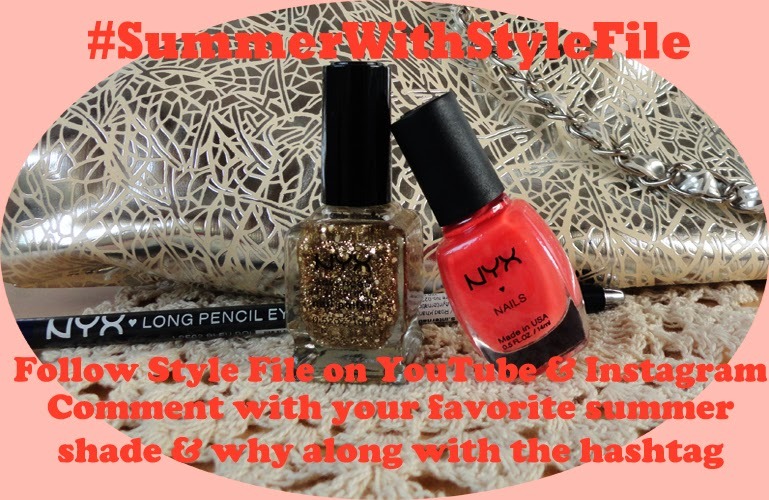 *Once you have followed Style File on YouTube & Instagram, you are eligible to one entry i.e. one comment. So head over to the Instagram page & get started! *Disclaimer: The above giveaway is sponsored by Style File alone and is not carried out in collaboration with any brands. With the arrival of the maddening summer heat, I always get this insatiable craving to be at the sea. Like I've mentioned previously, all I want to do is swing by my happy place with a large sun hat and stroll on the shore while I feel the sand between my toes. Unfortunately, that being impossible currently; the closest I can get to it is to have a fantastic view of the seaside and that's exactly what I did. 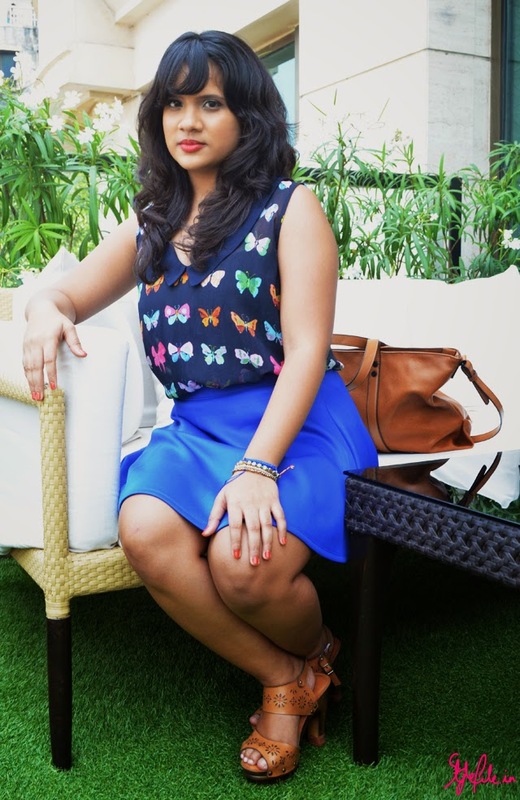 I kept my look in bright tones of blue to add to the calm that's definitely necessary during this season. 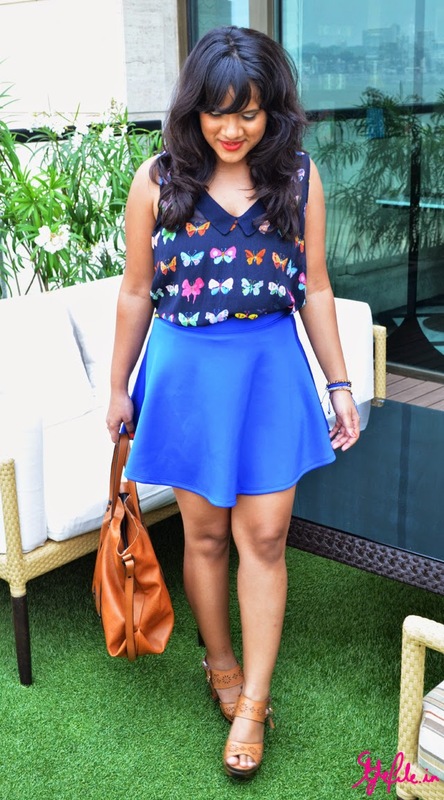 Keeping my irrational fear of the insects aside, the butterfly print adds a rather charming summery vibe to the look. 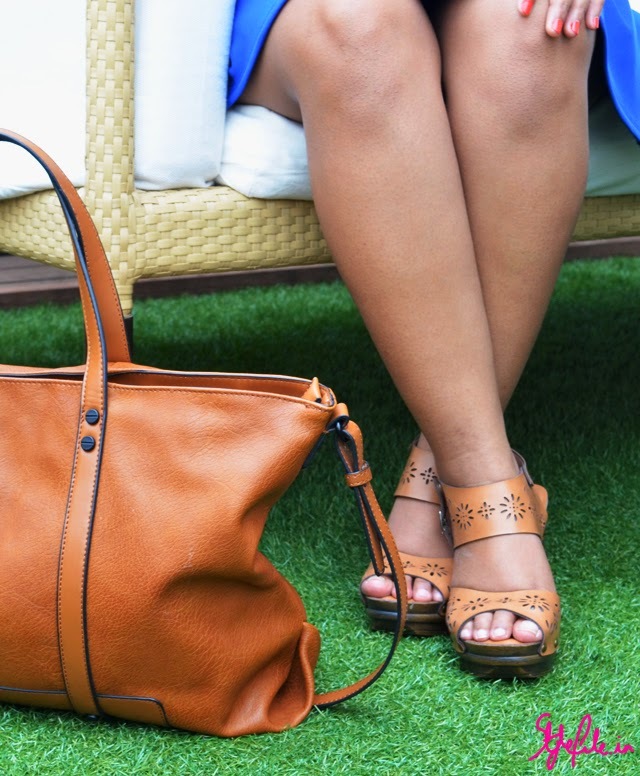 My accessories are minimal and just the way I like it so I added my favorite orange-red toned lipstick and matching nails to go along with the happy scheme of things. Here's to a wonderful summer!